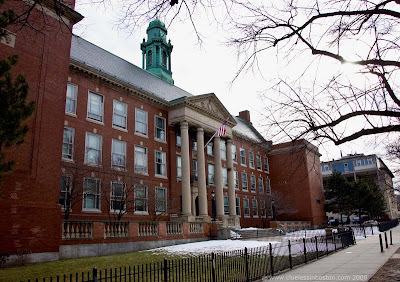 Boston Latin School in Roxbury on Avenue Louis Pasteur is the oldest public school in the country. Nice picture - I went to that school. This is my first view of this famous school. I believe that Hartford Public High School is the 2nd oldest in New England. I think. It's a gorgeous school and has a great reputation.